OTTAWA — Kevin Glenn got 100 on Friday. No, the Saskatchewan Roughriders quarterback didn’t attain a perfect grade for his showing in his team’s 18-17 CFL victory over the Ottawa Redblacks at TD Place. But the 38-year-old pivot did post the 100th victory of his 17-year CFL career during Saskatchewan’s rain-soaked, come-from-behind win. That tied him with Matt Dunigan for eighth place on the CFL’s all-time list of victories by a starting quarterback. “When you tie a guy like Matt Dunigan, who has had so much success in this league and who sits high up on a lot of people’s pedestals as one of the best quarterbacks to play in this league, it’s big,” said Glenn, whose team rallied from a 17-0 deficit to pull off Friday’s victory. Glenn and the Roughriders’ offence got off to a slow start against Ottawa — he had 73 yards passing at halftime, when Saskatchewan trailed 11-0 — but head coach-GM Chris Jones said after the game that he didn’t think about replacing the veteran with Brandon Bridge. 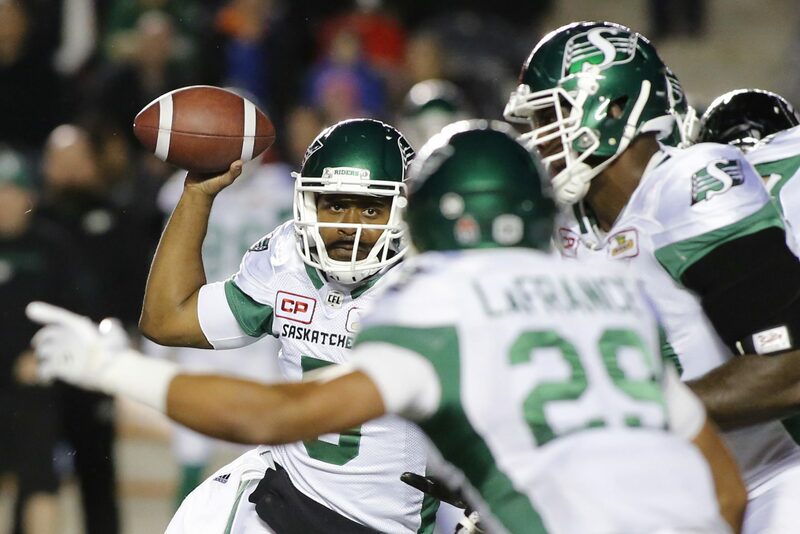 The decision paid off, as Glenn threw for 179 yards after the break to lead the Roughriders to the victory. Glenn went into Friday’s contest tied with Tom Clements for ninth on the CFL’s all-time wins list. Anthony Calvillo holds the league record with 167 victories, followed by Damon Allen (163) and Ron Lancaster (158). Toronto Argonauts quarterback Ricky Ray is the active leader with 109 going into his game Saturday against the Hamilton Tiger-Cats. Glenn has posted victories with six CFL teams during his career. 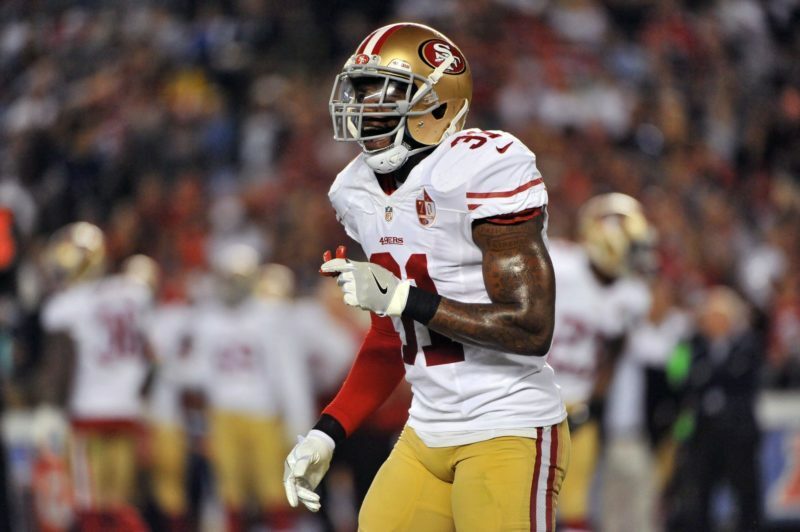 He has won 35 games with the Winnipeg Blue Bombers, 21 with Hamilton, 20 with the Calgary Stampeders, 12 with Saskatchewan, eight with the B.C. Lions and four with the Montreal Alouettes. 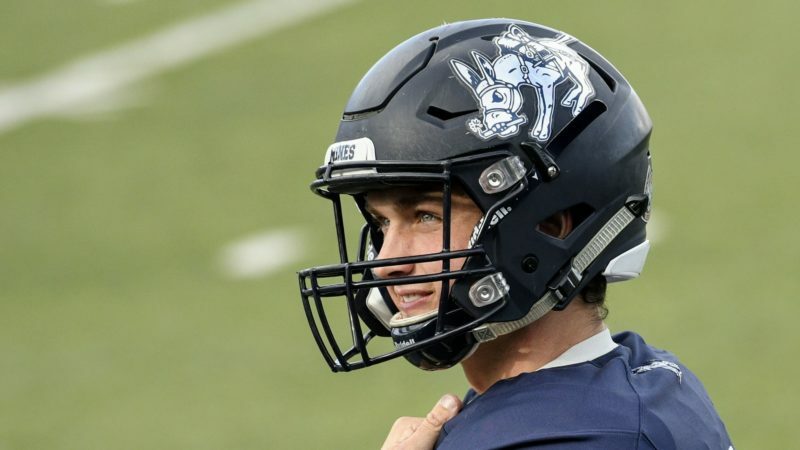 Already this season, Glenn has surpassed 50,000 career passing yards (his total now stands at 52,265) and there are more milestones on the horizon. With 21 touchdown passes this season, he has 289 in his career, so 300 is in reach. On Friday, however, he matched Dunigan in wins — and Glenn knew what that would do to the CFL on TSN panelist. For the second straight game, the Roughriders surrendered more than 100 yards rushing to an opposing tailback. Five days after Calgary’s Jerome Messam gained 127 yards in a 15-9 victory over Saskatchewan, Ottawa’s William Powell gashed the Roughriders for 187 yards. “(The Redblacks) were prepared for the way we defend the run,” middle linebacker Henoc Muamba said. “We’re such an aggressive defence. We’re so athletic and so fast that really all he was doing was cutting back. He would attack a certain angle and then cut back. That would be Toronto’s James Wilder Jr., who had 190 and 141 yards rushing in his previous two games entering Saturday’s action. 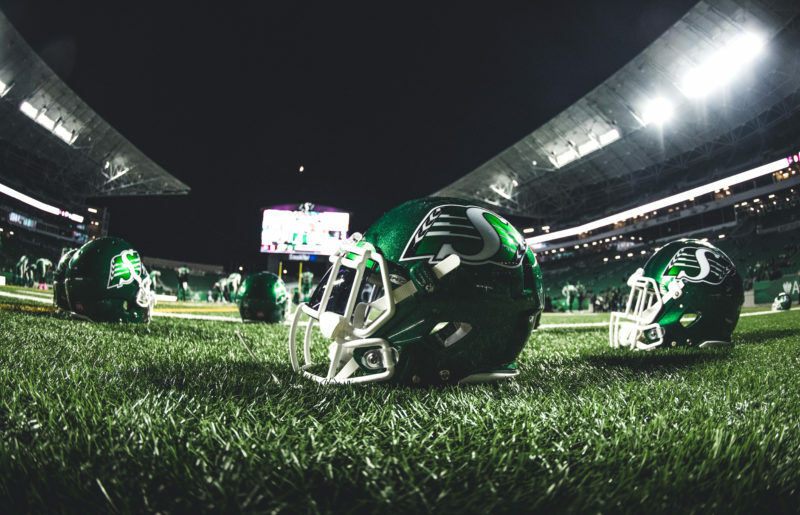 Saskatchewan is to visit the Argos on Oct. 7. Asked about keeping his players on task during their week-long stay in Ottawa before the trip to Toronto, Jones pointed to Wilder and to Powell’s 111 first-half yards Friday. The Roughriders produced 60 yards rushing Friday, but that was a marked improvement over their 28-yard effort against Calgary. Tailback Kienan LaFrance, who had four yards on four carries versus the Stampeders, matched that output on his first carry Friday. He finished the game with 52 yards on 12 carries, including 17 yards on four attempts in the last two minutes as Saskatchewan tried to drain the clock. LaFrance started his fourth straight game in place of the injured Cameron Marshall, but he knows his time as the starter isn’t guaranteed. The Roughriders announced the signing of Trent Richardson on Tuesday and the former NFLer could get his shot very soon. LaFrance earned some bragging rights Friday. The Winnipeg product was drafted by the Redblacks in 2015 and spent his first two CFL seasons with them before signing as a free agent with Saskatchewan in February. The game Friday was LaFrance’s first in Ottawa since he joined the Roughriders — and he made the most of it. “It was a similar game the last time we played Saskatchewan when I was here and they came out on top with a last-minute score,” said LaFrance, referring to the Roughriders’ 32-30 overtime victory in Ottawa on Oct. 7, 2016. “It’s nice to be able to come back here and get a W with the new team.